For schools, the bus tracking system helps them make good, informed decisions about drivers and routes. This GPS system helps the school set up routes that make the most sense based on time and fuel consumption. It can also help pinpoint unsafe or borderline bus drivers. The school system can set up a notification system for a driver who exceeds the speed limit, brakes too hard, takes a corner too sharply or accelerates too quickly. Of course, there are times when a driver needs to brake suddenly or accelerate quickly, but this notifies the school system each time so that they can identify any problem drivers and replace them before a tragic accident occurs. Schedule, Manage, and Analyse Trips to Securely Transport Kids from Home => to School => back Home. Import student data (grade, class, division etc. 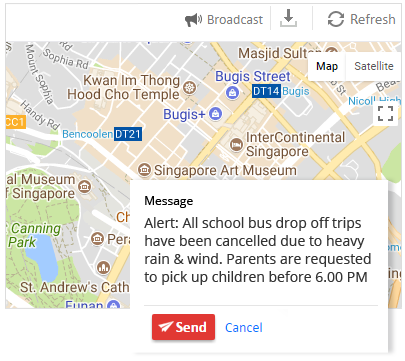 Send broadcast message to notify parents of trip delays/cancellations. 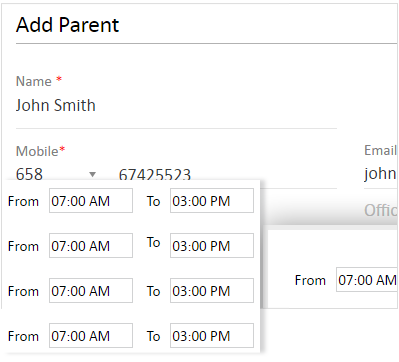 Wish to get a quick online demo on our school bus module?